I code by the sea. : What's on my OSGi book shelf? What's on my OSGi book shelf? I've been asked many times over the years "what books do you have on OSGi?". Initially all I could point people to was the OSGi spec, blogs, and project demos, these days however my book shelf contains many titles. Let's have a look at them. OSGi books on my book shelf. Brand new to OSGi? This book is for you. In a brief format the authors introduce you key OSGi concepts, and provide you with definitions, explanations, and examples to get you and your team thinking in modular Java. Find a copy here: OSGi Starer. 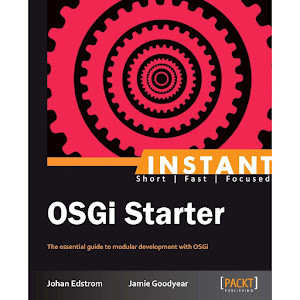 Simply a must read for anyone looking to take a deep dive into the nuts and bolts of OSGi. The first three chapters alone should be essential reading to all developers looking to understand OSGi bundles, life cycle, and services. Find a copy here: OSGi in Action. The OSGi Alliance publishes the core specification and compendium. These documents are very dense, aimed towards those of us implementing the framework and services. The alliance also hosts an OSGi wiki that is a first stop for quick terminology explanations. Find a copy here: OSGi specification. Another must read for Enterprise users of OSGi. This book will walk you through using servlets, JSPs, WARs, and JPA. Most importantly it'll give you solid advice in using Blueprint. Find a copy here: Enterprise OSGi in Action. A must read for all Java developers looking into modular design. Even if you do not want to use OSGi you should still read this book for its valuable insights into software architecture. I'd also suggest visiting the author's site for the modular pattern catalog - so many cool concepts to read about here. Find a copy here: Java Application Architecture. Brand new to Apache Karaf? This book is for you. In its pages you will be introduced to the OSGi-based container, and learn best practices by example. The book shows you how to set up an Apache Karaf distribution, and how to arrive at a production-ready deployment. Learning Apache Karaf teaches you everything you need to install, configure, and administer Apache Karaf. 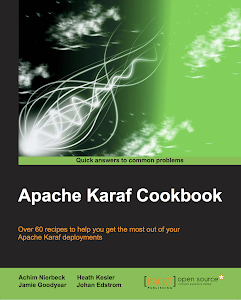 Find a copy here: Learning Apache Karaf. Certainly the above represents a lot of reading, and digesting of core concepts, and expert tips. To help make adopting OSGi and Apache Karaf easier Savoir Technologies offers a training course that introduces your team to the key concepts, builds confidence, and delivers expert tips. 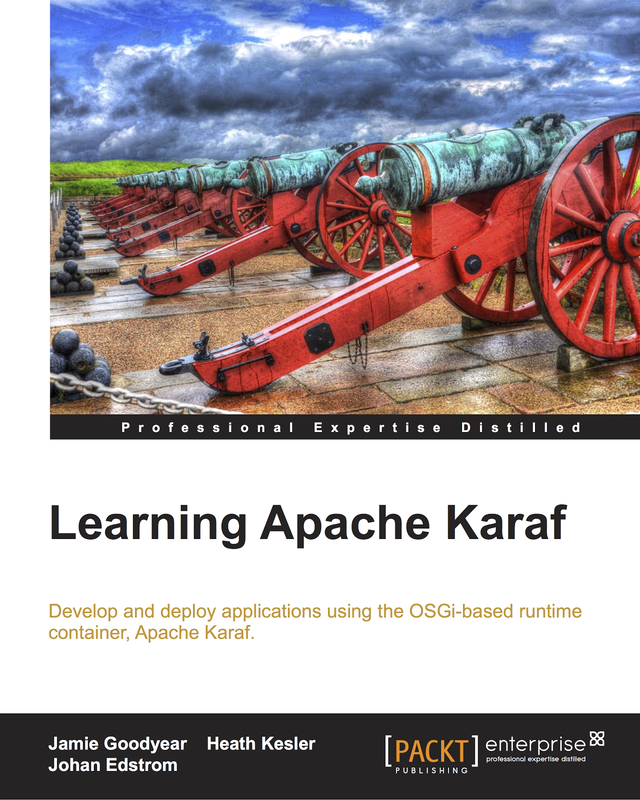 For more information please visit http://www.savoirtech.com/services/training/developer-training-for-osgi-apache-karaf. Nursing a cold, better write a blog update.